When it comes to creating crafts for Valentine’s Day it can become tedious and hard. This does not have to be the case. Crafting with young kids can be easy and fun. The importance is to find what your child love to do and the type of crafts they enjoy making. Sometimes just purchasing semi homemade crafts is what your child loves to create and that’s okay. 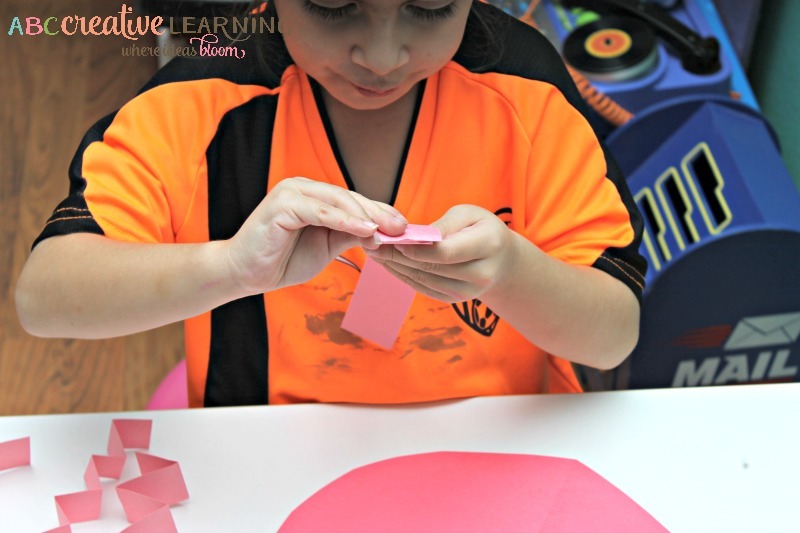 Help your child cut out a large heart in their favorite color. 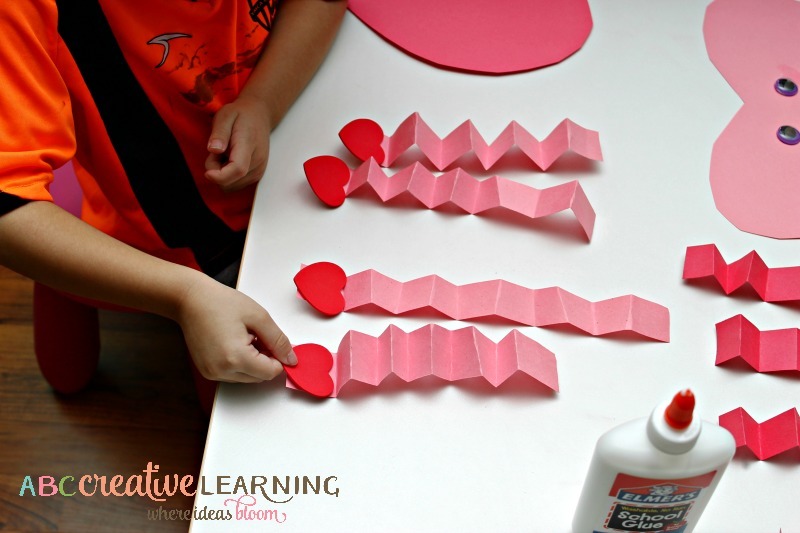 Choosing another color, cut out 4 strips, which your child will fold into an accordion. These will be the legs and arms of your heart. 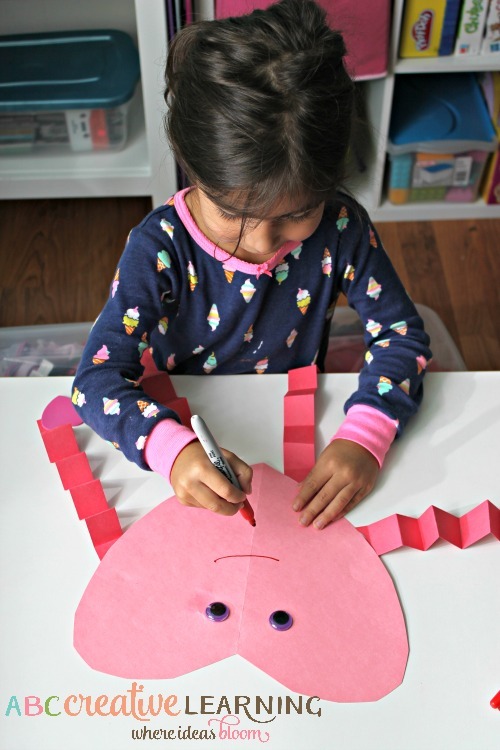 I personally love this exercise, because it’s so great for fine motor skills and your child really needs to pay attention when folding the paper. Tip: You might have to help them a bit, this can be a bit difficult for younger children. My oldest didn’t have any problem at all, but my youngest is only 3 needed a bit more help when folding the paper forward and backward. Glue or stick on the foamy hearts to the end of each accordion strip. These will be your hearts hands and legs. Have your child glue on the arms and legs on the heart. Glue on the googly eyes and draw a smiley mouth using a crayon or marker. Allow the heart to dry completely so that the arms and legs do not fall off. This was a very easy craft to create, but my girls had tons of fun making them. Especially because they could do most of all the work without my help. The girls also loved that you can make the heart dance and it’s hands and legs bounce up and down. 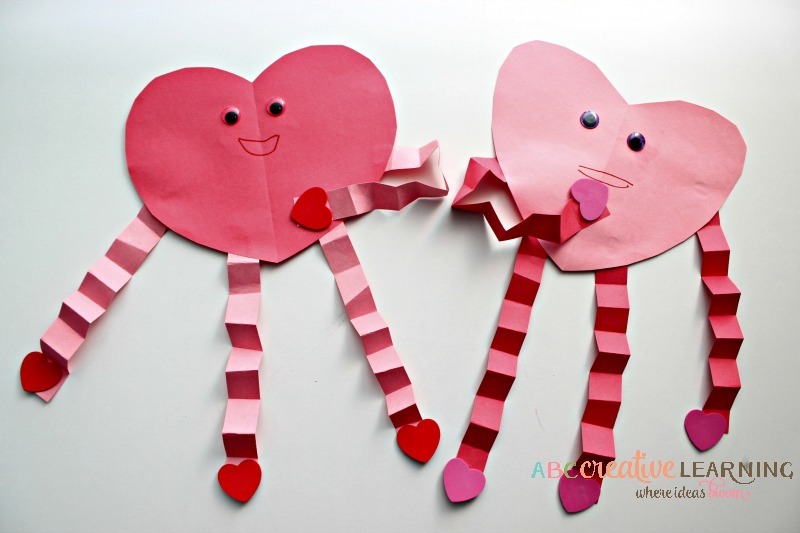 Does your child create crafts for Valentine’s Day?